Koufonisi is situated in the Libyan Sea, at the southeastern part of Crete, south of the prefecture of Lassithi, at a distance of 3,5 nautical miles south-southeast of Cape Goudoura, and 10 nautical miles southeast of Makrys Gialos. Boat departs from Makrys Gialos and heads to Koufonisi. With soft music playing in the background, we will be sailing in the turquoise blue waters of the Libyan Sea, and the ship will anchor off the coast, giving you the chance to swim in the crystal clear waters. 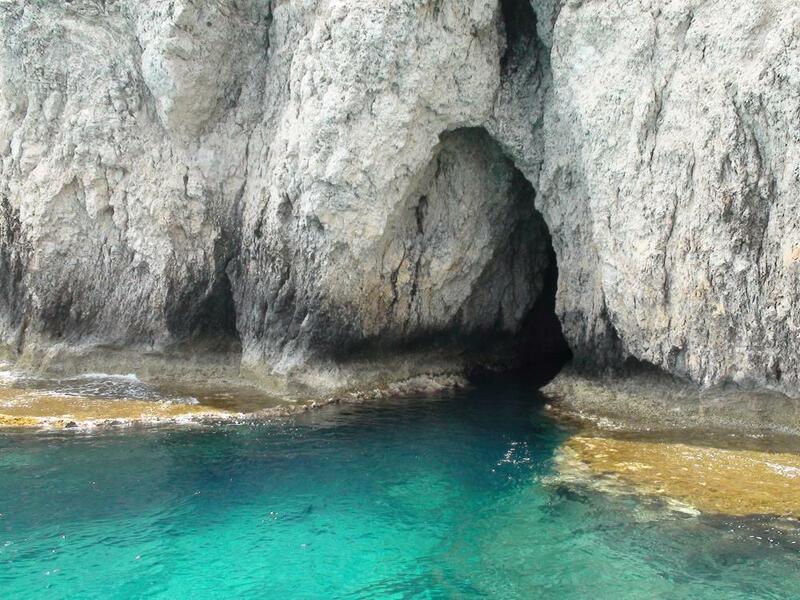 As the ship approaches the island, you will have the chance to see the lovely beaches, the caves, and the magical bays the seawater formed in its soft rock formations. Our ship shall moor in a wind-protected beach, and you will disebark by boat. The island's vegetation is low and bushy, almost Steppic, with rare - for Crete and Greece - species. If you feel like hiking, bear in mind that not all areas are accessible, and you need to wears snickers, a hat and sunscreen. Today, the island is a heaven for fishermen away from the strong winds and rough seas of the Libyan Sea. In recent years, the wealth of its history and environment were discovered and studied. This knowledge and the natural beauty of the island are a gift to visitors who must respect and protect it.